Tested to European S2 security standard by ECB-S (EN14450). Door secured by three-way live locking bolts. Finished in high quality scratch resistant black paint. 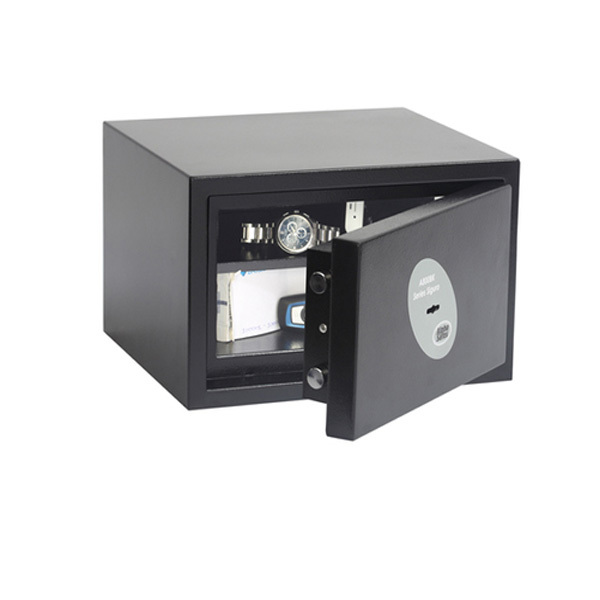 The Alpha SiguroA801BK is designed for use in the office or at home and is tested and approved by ECB-S to provide an S2 €4,000 cash rating and €40,000 valuables rating. The door is secured by a high security (VdS Class 1) double bitted key lock and can be installed to a solid concrete floor by using the fixing bolts that are included.